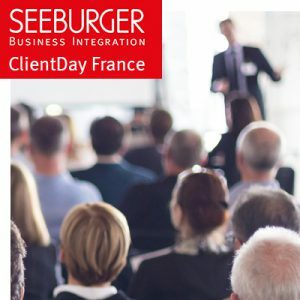 SEEBURGER Client Day France 2017 – Navigation towards Digital Transformation! On November 23rd, SEEBURGER France proudly hosted its annual Client Day at the Marina de Bercy, Paris. It was a day full of ideas and reflections aiming to understand how to respond to the challenges of digital changes, in a timely and innovative way. The event started with a presentation about the digitization for the manufacturing market, highlighting how a disruption context can actually generate a proactive transformation. Just think about how Amazon, PayPal, Uber have positively revolutionized our daily lives. Changes involves integration: integration of people, processes, machines, data and services. The focus was on SEEBURGER’s BIS (Business Integration Suite) platform, as the central point for all integration activities (B2B/EDI, API/EAI, IoT/Industry 4.0, MFT, E-Invoicing). Specifically, we explored how BIS can support every EAI/API conversion process, responding to the increasingly frequent needs of connections through applications in real-time. Subsequently, the potentials of the BIS Information Server were analyzed, underlining the capacity to trace and monitor the systems, in order to support the company strategy. The discussion of course couldn’t have left aside the topic of Cloud: the SEEBURGER Cloud services, regulated by ISO 27001, perfectly responds to the needs of change with a cost reduction, increasing the productivity securely and flexibly, yet maintaining compliance standards. To close the constructive morning, our guests enjoyed a delicious lunch on board of a private boat, admiring the evocative, majestic and immortal Parisian monuments, while cruising along the Seine. The whole experience was enveloped in a magical atmosphere, marked by the transition from analogue to digital , from antique to modern. After the unforgettable crossing, the attention shifted to the subject of E-Invoicing solutions, the ability to respond to the diversified local needs (France, Italy, Spain, Portugal and Mexico) and their very fragmented legislative scenarios. The event ended with a presentation from Trust Weaver, a SEEBURGER compliance partner around E-Invoicing and e-Archiving Jointly SEEBURGER and Trust Weaver cover E-Invoicing compliance in more than 55 countries. 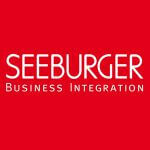 The SEEBURGER Team is very thankful about the positive feedback from our valuable custumers about this event. Many doubts have been clarified, many positive ideas have emerged, pointing to the road for a more conscious change. The planning for our 2018 has already started. We hope to see you all again in Paris!